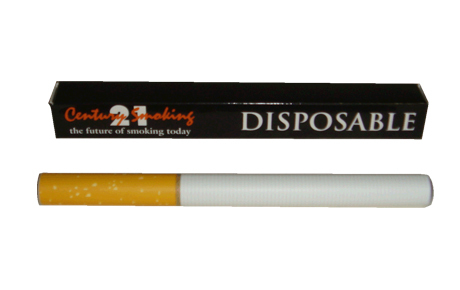 Hide deals from seller "21 Century Smoking"
Hide deals from category "Tobacco Shops"
Click ‘Get It’ and select Disposable E-Cigarette option or Rechargeable E-Cigarette option. Limit 1 per person. Select flavor, strength and unit color at time of redemption. Must be 18 or older to purchase. Promotional value expires 90 days after purchase. $7 for one disposable Blackjack electronic cigarette in your choice of flavor and strength ($15 value). $35 for a Blackjack Starter Kit. This kit includes an e-cigarette in your choice of color as well as a battery, charger and five cartridges in your choice of flavor and strength ($70 value). Electronic cigarettes are a new product that simulate smoking but do not emit the odor of tobacco smoke. Smokers can get the feel of smoking a traditional cigarette as they inhale flavored vapor that delivers varying levels of nicotine without bothering others with secondhand smoke. Smoke in style with this deal. Online retailer offering electronic cigarettes and accessories.